Micromax is going to launch the Canvas 4 in this coming week. The device is creating much and more buzz or you can say hype around it. We earlier showed you some of the Leaked images of the Canvas 4. That pictures was of the white model showing the back and the sides and also a small portion of front. 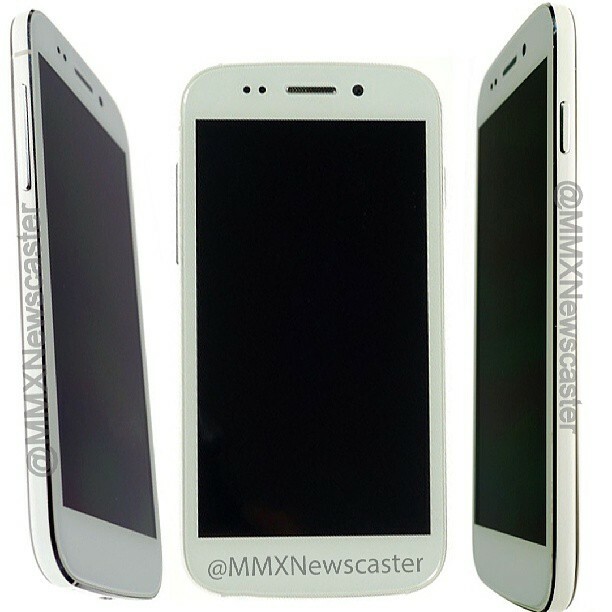 A twitter user called MMX News Caster have now leaked the images of Canvas 4. It is again in white colour but this time you can have a full look of the front including the sides too. The device looks pretty decent and sleek in images with a silver bezel around it. You can have a look at the expected/rumored specifications of the Canvas 4. The will go on pre-order on 28th June.